Perfect World Entertainment Inc., a leading publisher of widely-acclaimed free-to-play MMORPGs, is proud to announce Swordsman: Gilded Wasteland is now available delivering a defining moment for one of the most popular martial-arts MMOs in the world. Set in the rugged deserts and isolated steppes of Jianghu, Gilded Wasteland players take on the evil Eminence School in its final stronghold, introducing fantastic new narrative experiences, fresh battleground and PvP modes, and wild new instances in the wuxia-themed title. 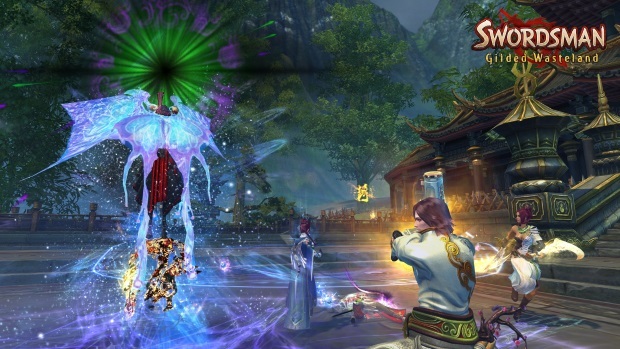 Swordsman: Gilded Wasteland takes players from the lush environments of Ancient China and throws them into the arid regions of Ping Liang, Dukhan and the Shadow Mountain Plains, challenging them to battle through new instances and dungeons. 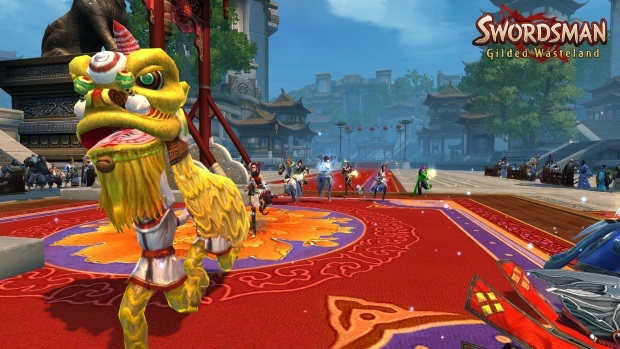 Additionally, new PvP opportunities bring new gameplay options to guild combat and arena skirmishes, including deathmatch battles and a “Capture the Lion” mode offering new martial-arts spin on classic game modes. To learn more about Gilded Wasteland, check out our preview!